Samsung Valuation Crashes by $26 Billion Due to Galaxy Note 7 recall! 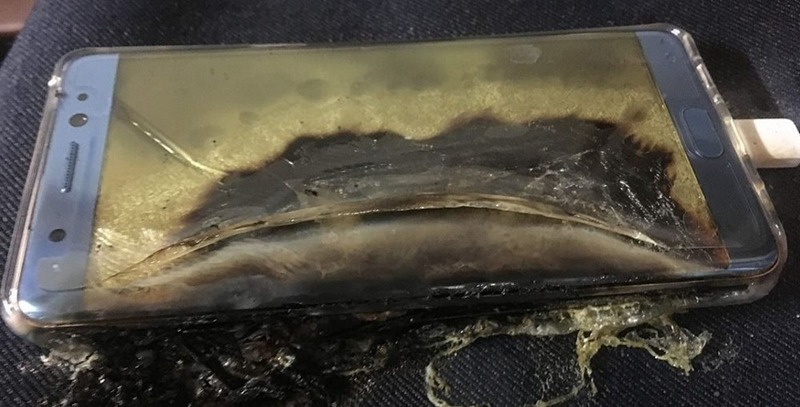 Samsung’s latest version of Note series, Galaxy Note 7, caused a furore in the market because of batteries exploding worldwide. The smartphone has since been recalled and customers are being offered full cash back or replacement for Samsung Galaxy S7. The ripple effects have been such that even DGCA banned Note 7 on airlines owing to faulty batteries that are being termed as dangerous, and this has created quite a bad image for the company. The company took an ethical call to recall all Note 7s, which sold over 2.5 million worldwide! However, a step like this has to have a downside and Samsung’s market value has crashed by $26 Billion, as reported by Factset, a financial data and software company. The South Korean giant’s stocks fell by almost 7% over the weekend, hovering around $1,300 a share. What also did not work for Samsung was the launch of iPhone 7 and 7 Plus on 9th September, post which the stock prices fell drastically for Samsung. The company’s reputation got marred by a flaw in its phones and Apple’s new launches aren’t helping improve the situation either. How has it affected Samsung? To remediate the losses from Note 7 explosions, the company offered users to replace their Samsung Galaxy Note 7 batteries with new ones from Samsung stores, however the sheer volume of such explosions and fires was so high that the company had to recall all devices. Anyone who wishes to purchase a Samsung smartphone will now think twice and this is bound to lead to lower sales and overall revenues. It is also worth noting that Galaxy S7 was crowned the world’s top selling smartphone in H1 2016 and Note 7 was supposed to follow a similar route. Even the existing Samsung smartphones cannot be said to be 100% safe because they all come from the same manufacturer and are manufactured in the same factory. A $26 Billion market value drop is huge for such a company, and other companies will try to take advantage of this handicap. That said, Samsung will definitely try very hard to be back in the game as it prepares for Samsung Galaxy S8 launch next year. Note series have been quite popular with smartphone users thanks to high-end specs, large screen, stylus and a brilliant camera, and will continue to be despite such mishaps. "Samsung Valuation Crashes by $26 Billion Due to Galaxy Note 7 recall; Ethical, Yet a Costly Mistake by Samsung", 5 out of 5 based on 1 ratings. Gionee S6s User Review: A Decent Smartphone With Great Selfie Camera!